BOSTON--(BUSINESS WIRE)--Merchant Customer Exchange (MCX), developer of the CurrentC™ mobile payment platform, today announced the appointment of financial services and payment industry veteran Brian V. Mooney as the company’s Interim Chief Executive Officer. Mooney succeeds Dekkers Davidson, who is leaving MCX to pursue other opportunities. 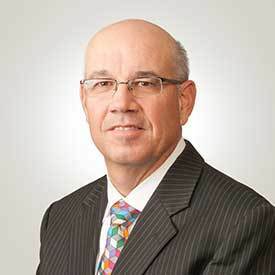 Mooney was most recently CEO and a board member of Bank of America Merchant Services, one of the largest U.S. merchant payment acquirers, serving a significant segment of large U.S. merchants and handling billions of transactions. As CEO, Mooney oversaw all aspects of client engagement, product strategies including mobile, sales, operations, risk, and compliance. He was previously Chief Financial Officer, and later President, of First Data Merchant Services, which provides payment technology and services to millions of merchants including many with global operations. Merchant Customer Exchange (MCX) is building a customer-focused and security-driven mobile payment solution that will deliver a better payment and shopping experience for customers and merchants alike. MCX’s owner-members include leaders in the big-box, convenience, pharmacy, fuel, grocery, quick- and full-service dining, specialty-retail and travel categories. Collectively, these companies operate more than 110,000 locations and process more than $1 trillion in payments annually. The company operates from offices in Boston and Dallas. For more information, visit www.mcx.com. CurrentC™ and all associated proprietary marks are trademarks of Merchant Customer Exchange LLC and its related entities. Merchant Customer Exchange (MCX), developer of the CurrentC™ mobile payment platform, today announced the appointment of Brian V. Mooney as the company’s Interim Chief Executive Officer.